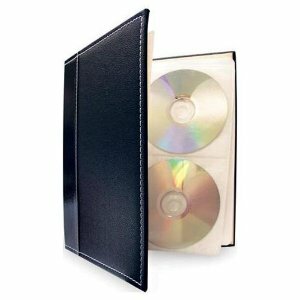 Our favorite pick for DVD management are the Bellagio DVD Storage Albums by HandStands. Before we got the DVD albums, our shelves were bursting at the seams with DVD cases. If we wanted to find a particular DVD, we had to pull out the cases to get to the ones in the back, search high and low, and make a mess. If the kids wanted to get into the movies, it could get even messier. There are black, brown, and burgundy storage albums available. We have a good mix of the black and brown albums to help us at a glance figure out what categories of DVDs are in which albums. We put kid movies in the black albums because the black albums will be able to put up with a little more wear than the brown. Having a bunch of them has really helped keep things organized around the entertainment center. 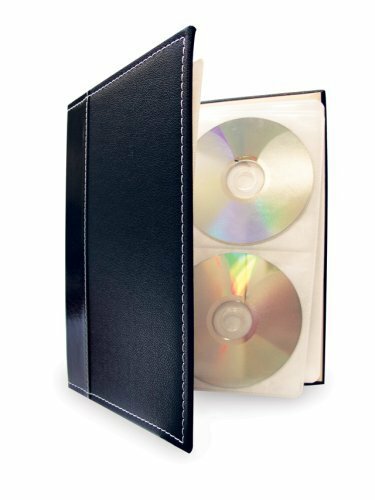 We’ve enjoyed using these albums, but everyone’s needs are different, so what sort of things will you need in a DVD case? The Bellagio DVD Albums are classy and really create a better looking shelf. The albums hold up to 48 DVDs. Just think of how much space 48 DVDs in the jewel or DVD cases would take up! With multiple albums, you can categorize your discs such as Adventure, Kid Movies, etc. with a storage album for each category. These albums are easy to take around with you (just be sure not to tip the album upside down or some of the discs may slide out of the sleeves. If you put the little tab down over each DVD, that shouldn’t be a problem though). To find out more details, read our review of the DVD Storage Albums by HandStands. The storage binders are very popular with Amazon shoppers gaining more than 260 reviews on Amazon!